Abduction, seduction, and love ever after? A womanizing rake abducts an innocent heiress and must decide if he can believe in love before it is too late. Leif Riley, heir to an ancient and impoverished title, is known in London society for his reckless charm, irreverent behavior, and devoted pursuit of wealthy women. What the world doesn’t know is that Leif is determined to accumulate enough of a fortune to restore his wasted ancestral holdings to their once formidable glory. Abbigael Granger left Ireland to find a husband. More than that, what she yearns for with all her heart is a man who will love her for who she is despite the darkness of her past. Not a raving beauty, and harboring a secret that could shatter her chances at a proper match, Abbigael can only hope her sizeable dowry succeeds in drawing a few worthy suitors. 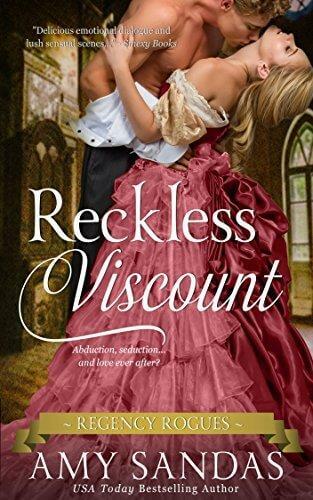 When the two are forced to wed, Abbigael learns that a reformed rake may not be the worst choice for a husband, and Leif discovers that his Irish bride is more than a match for him…in and out of the bedchamber. In a marriage that begins with an abduction and hasty elopement, can desire become something more?